The Blacklist has some new company. 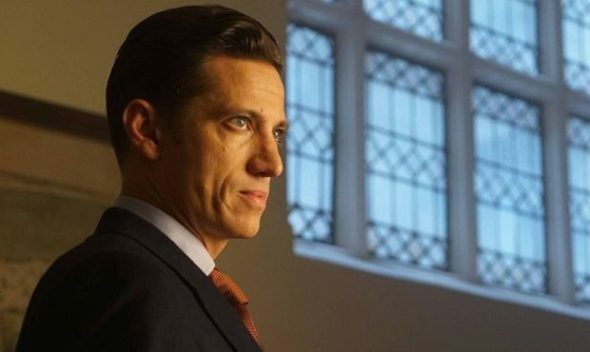 Deadline reports James Carpinello will recur on season five of the NBC TV show. The spy drama follows former US Naval Intelligence officer Raymond “Red” Reddington (James Spader) as he tracks down some of the world’s most dangerous criminals and terrorists, provided he can work exclusively with Elizabeth Keen (Megan Boone). The cast also includes Diego Klattenhoff, Ryan Eggold, Amir Arison, Mozhan Marnò, and Hisham Tawfiq. On The Blacklist, Carpinello will play “Henry Prescott, the handsome, charming, and cool ‘fixer’ who calmly solves problems for powerful and elite clients.” Season five of the NBC drama premieres on October 4th at 8 p.m. ET/PT. What do you think? Do you watch The Blacklist? Are you excited for the new season?